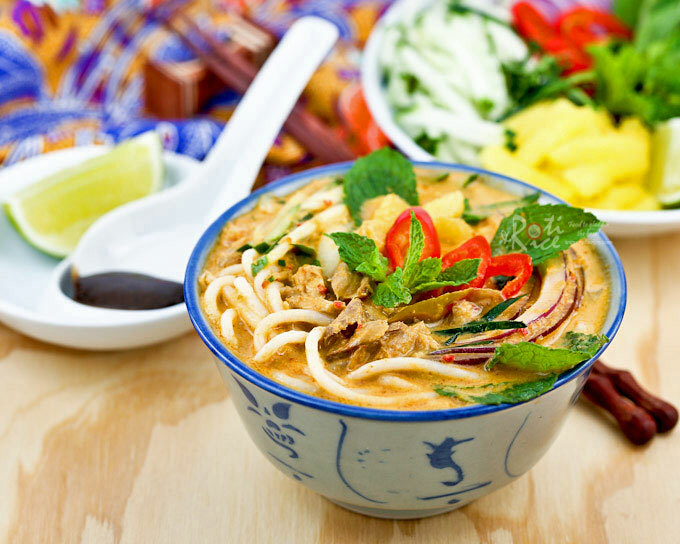 There are many different types of laksa (spicy noodle soup) in Malaysia. Almost every state has their own version of this popular dish. Most have a coconut based curry soup like Kuala Lumpur’s fabulous Curry Laksa. 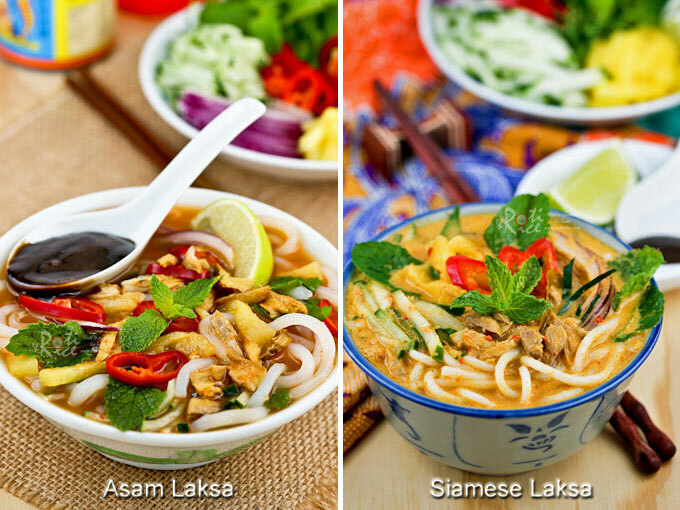 The exceptions to the rule are Laksa Kedah and Penang’s Asam Laksa with their tangy tamarind based soups. 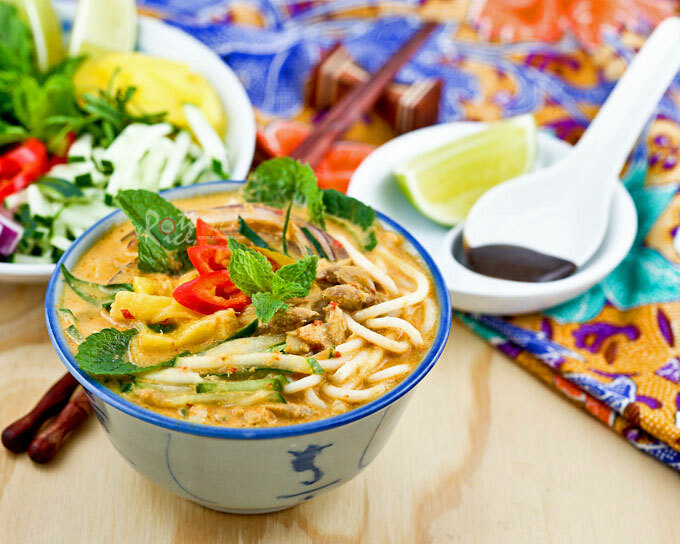 I am a big fan of laksa and hope to share as many versions as I can on this blog. 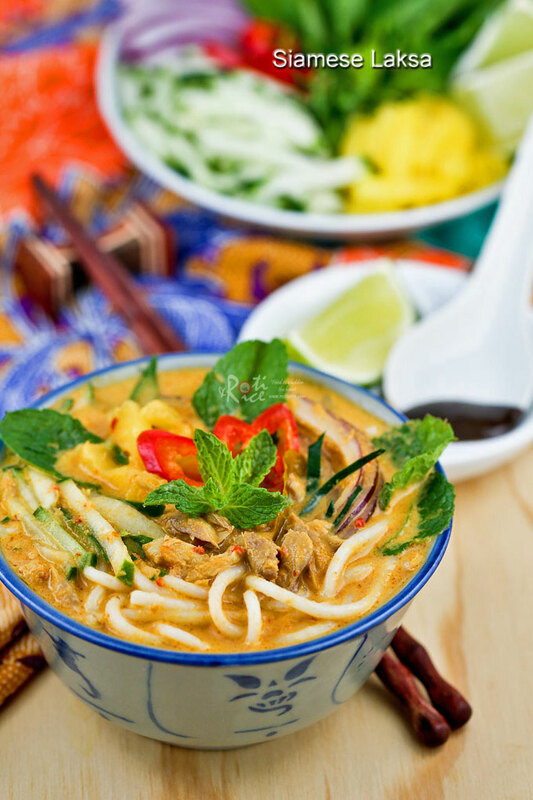 Today’s Siamese Laksa, also known as Laksa Lemak is found on the island of Penang. It is like the creamy version of asam laksa with basically the same ingredients. The two are often mixed in one bowl by the locals. Asam Laksa is a kind of Asam Pedas (spicy tangy soup) which does not require its spice paste to be fried. Siamese Laksa like most other coconut based curry, benefits from its spice paste being tumis (fried) to bring out its fragrance. Hence, Siamese Laksa is a little richer than asam laksa. It is more creamy and less tangy. Note: Please do refer to my Asam Laksa post for pictures and explanations on some of the ingredients used in this recipe. Bring 2 cups (480ml) water in a large pan to a boil. Add mackerel, lower heat to medium low and poach for 15 minutes. Remove fish when cooked. Strain liquid with a metal strainer. You should get about 1 cup (240ml) fish stock. Heat vegetable oil in a large pot and stir fry ground spice paste and kaffir lime leaves until fragrant, about 5 minutes. Add fish stock, coconut milk, and 2¼ cups (540ml) water. Add asam gelugor and daun kesum. Bring soup to a gentle boil. Season with sugar and salt. Lower heat, and allow it to simmer to 10 minutes. Cook dried thick vermicelli in boiling water for a minute. Then turn off heat and let it soak for 6 to 8 minutes until soften. Remove and drain before serving. Place some noodles in a bowl. Top with a little julienned cucumber, pineapple, onion, red chili, mint leaves, and torch ginger(if available). Pour gravy over the noodles. ** Fresh thick rice noodles should be cooked in boiling water for 1 to 2 minutes. Remove and strain before serving. Like Asam Laksa, this Siamese Laksa has the same garnishes (toppings) including hei ko (shrimp paste). It is highly recommended for a richer and more authentic flavor. Do give it a try. Oh my kind of laksa! Made my mouth watered just by looking at the gorgeous photos of your laksa. I like the photos. 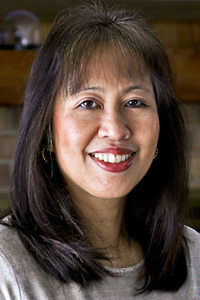 I am also a malaysia residing in indiana. Miss all the yummy food. Thank you so much for the Siamese Laksa recipe. I have always wanted to try this but had trouble finding the recipe until I found yours. Had my friends round for dinner and they all loved it. I found mackerel canned in oil and they were just as good.